Starting Saturday evening, March 3rd until Sunday afternoon, March 11th, UMKC Conservatory of Dance will be presenting three different performances of the annual Senior Recitals. All performances will be held in the Performing Arts Center's White Recital Hall, and will be free of charge and open to the public. The evening recitals will be Saturday, March 3rd and Wednesday, March 7th, both at 7:30 PM, with another recital to be presented as a matinee on Sunday, March 11th, at 2 PM. "I think that senior recitals will be fabulous this year... all the students have worked very hard individually and as a group… and all were very supportive of each other... it was very gratifying to see... they were so willing to help each other get through this time of stress," said Dance professor, Paula Weber. 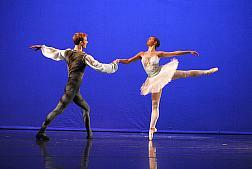 Conservatory Dance students are required to perform in student recitals as part of their degree program requirements. 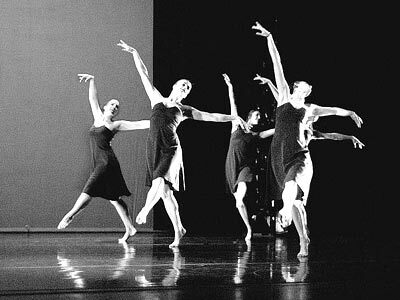 Dance students are required also to choreograph a faculty-approved composition to be performed in recital, one group piece and one solo piece. They are also required to perform a faculty-approved recital solo, either choreographed by the student or by an approved choreographer. 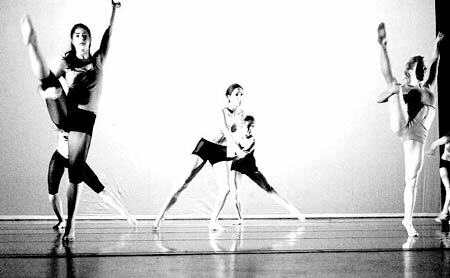 As described in the student handbook, the recital must consist of two different dance forms studied in the four years of coursework, including one solo and at least one work choreographed by the student. This would be similar to a music student creating an ensemble composition for recital, as well as mastering a performance piece to demonstrate mastery of a particular musical instrument. An athletic equivalent might be creating strategic plays for a team in competitive game, and then competing in the game in a specific position as a player. The physical commitment can take its toll on the body, just as it can in any other athletic endeavor. Often dancers work though injuries in order not to miss a crucial opportunity or let down their peers in the production. "Ballerinas are some of the toughest people I know... not letting even fractured bones keep them from performing," said Ben Biswell, a Dance major specializing in ballet technique. "It has been a thrill to work with seniors this year... they have been some of the most dedicated partners I have ever had the pleasure to work with." 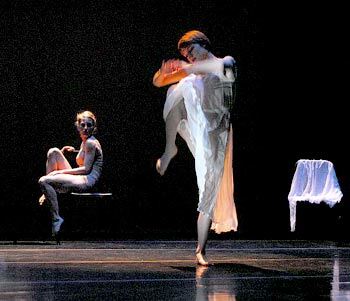 Dance students are required to master both Ballet and Modern Technique (one at least a 300 level, and the other at a 400 level) as a part of their program curriculum. Other dance forms and styles are also taught (such as Jazz, Tap, Flamenco, etc. ), so that students might be exposed to a variety styles. Mastering a variety of forms is not only enriching, but it helps make dancers more versatile and flexible, which translates to more dance work after graduation. In addition to dance studio classes, dance students are also expected to learn the components of composition of movement for choreography. 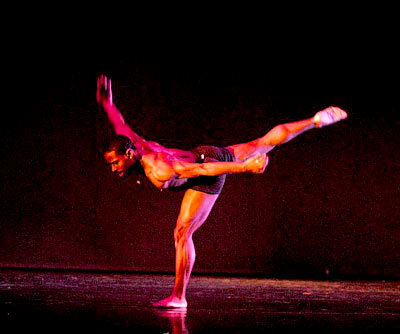 Dance majors also learn an academic perspective to dance and its relation to the other arts forms, including subjects such as the history of dance, the kinesiology of dance, visual arts, acting, music appreciation, and the history of Jazz, among other subjects. Dance majors are also required to have fulfilled General Education requirements, just as other students are required to do. So, by the time they graduate, Dance majors have a well-rounded education. 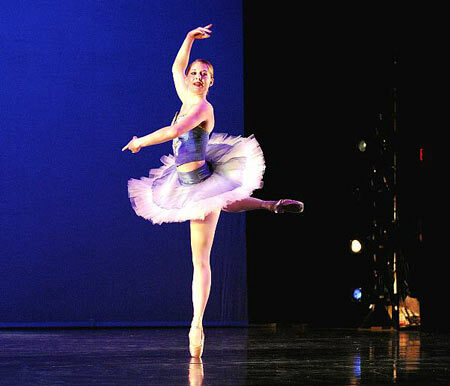 Often, dancers may have positions lined up even before they actually graduate in the field of their choice. For example, Anthony DeCarlis, one of the graduating seniors is looking forward to a new position for after graduation. He will be moving to LA to work with Stiletto Entertainment Co. doing dancing for such clients as Holland-American Cruise Line. "I'm ecstatic to get out of school and start a new chapter of my life," said DeCarlis. This year's concerts will present the work of 14 graduating students. They will present their solo and group numbers distributed over the three different concerts. The first Recital (7:30 PM, Saturday, March 3rd) will feature the work of seniors Rachel Barnes, Anthony Decarlis, Kate Feuer, Tia Qureshi, and Molly Wagner. The second Recital (7:30 PM, Wednesday, March 7th) will feature the work of seniors Tara Jones, Jennifer Phillips, Chelsea Shaw, Ashley Trullinger, and Michele Wentworth. The third and final Recital (2 PM, Sunday, March 11th) will feature the work of seniors Leila Dilmaghani, Holly Payne, Carissa Ratliff, and Jo Wertz. All three concerts will be held in White Recital Hall in the Performing Arts Center, and are free and open to the public. 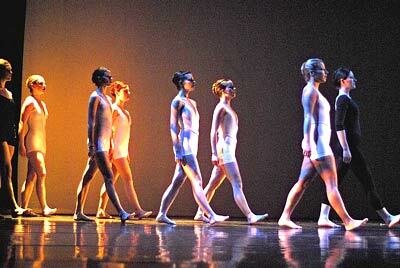 Looking ahead: The dance students will also be participating in the upcoming annual Spring Dance Concert. This year, the students will be performing works by Doris Humphrey and James Jordan of the Kansas City Ballet in collaboration with James Mobberley, UMKC Curators’ Professor of Composition. The Spring Dance Concert will be presented April 13th and 14th, at 7:30 PM in White Hall. Tickets will be available to the general public for $8, for seniors at $6, and free to students with a 24-hour advance reservation. Note: Inspired from the studies by Dr. Masaru Emoto on resonance. Acknowledgements: Thank you Dad, for all your wisdom that you’ve passed down. You are an amazing man. I couldn’t have done it without you. I love you. Acknowledgments: Michelle wishes to thank her family for supporting her though this amazingly long journey, her friends for sticking by her and encouraging her, and God for always being that light shining in the darkness. Note: Due to the use of strobe lights, please do not hesitate to exit the auditorium if need be. Thank you Mary Pat Henry, Sabrina Madison-Cannon, Jennifer Medina, Paula Weber, and Rodni Williams for all your support. When Our Wings Are Cut, Can We Still Fly?